The scale is not the only way to see changes in your body or your progress. You can always look at your physical and mental state. Yes the scale can decieve us at times. But have no fear you can pay attention to the inches you see decreasing and the amount of energy you have. Don’t be discouraged if you don’t see the scale moving down. There are so many factors to why the scale goes up some days or stays 1 place. But you will not let the scale dictate your progress. Above is my goal outfit for this summer. This violates 2 Don’ts for me. 1. I don’t wear shorts because my legs were so big and would rub together and I hated it. 2. I don’t wear sleeveless that often because my arms were super flabby and I had batwings. But I plan to defy both of my don’ts with this outfit. The bra & underwear is a super victory for me. I went from a 42 D to a 34C bra. I went from a size xl to m underwear. Forget the scale pull out a old shirt you want to fit into or buy a new pair of pants . 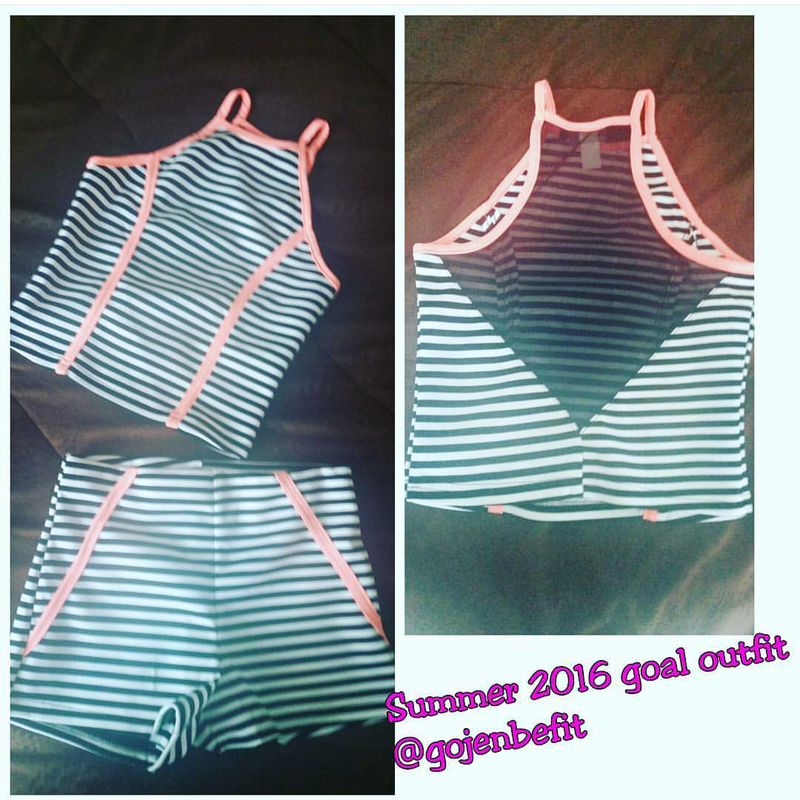 Use that piece of clothing to track your progress not the scale. I still struggle with what size I wear.. Sometimes I don’t know what size I wear so I just grab a lot of sizes and try them all on. Oh and remember some manufacturers sizes are different so don’t be afraid to buy you a $1 measuring tap and take your own measurements.